Instantly downloadable sheet music (Musiknoten zum herunterladen und ausdrucken) von Vicki Tucker Courtney for choir and piano (SATB) of MEDIUM skill level. Instantly downloadable sheet music (Musiknoten zum herunterladen und ausdrucken) von William Featherstone for choir and piano (SATB) of MEDIUM skill level. Instantly downloadable sheet music (Musiknoten zum herunterladen und ausdrucken) von William Willams for choir and piano (SATB) of MEDIUM skill level. Instantly downloadable sheet music (Musiknoten zum herunterladen und ausdrucken) von Susan Buckley Cumbie for choir and piano (SATB) of MEDIUM skill level. Instantly downloadable sheet music (Musiknoten zum herunterladen und ausdrucken) von Susan Dengler for choir and piano (SATB) of MEDIUM skill level. 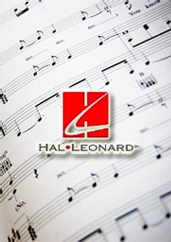 Instantly downloadable sheet music (Musiknoten zum herunterladen und ausdrucken) von Thomas LaVoy for choir and piano (SATB) of MEDIUM skill level. Instantly downloadable sheet music (Musiknoten zum herunterladen und ausdrucken) von Tom Allen for choir and piano (SATB) of MEDIUM skill level. Instantly downloadable sheet music (Musiknoten zum herunterladen und ausdrucken) von Traditional Folk Song for choir and piano (SATB) of MEDIUM skill level. Instantly downloadable sheet music (Musiknoten zum herunterladen und ausdrucken) von Stephen Sondheim for choir and piano (SATB) of MEDIUM skill level. Instantly downloadable sheet music (Musiknoten zum herunterladen und ausdrucken) von Steve Klaper for choir and piano (SATB) of MEDIUM skill level. Instantly downloadable sheet music (Musiknoten zum herunterladen und ausdrucken) von Steven Sher for choir and piano (SATB) of MEDIUM skill level. Instantly downloadable sheet music (Musiknoten zum herunterladen und ausdrucken) von Samuel Rosenbaum for choir and piano (SATB) of MEDIUM skill level. Instantly downloadable sheet music (Musiknoten zum herunterladen und ausdrucken) von Stan Pethel for choir and piano (SATB) of MEDIUM skill level. Instantly downloadable sheet music (Musiknoten zum herunterladen und ausdrucken) von Stanley Hoffman for choir and piano (SATB) of MEDIUM skill level. Instantly downloadable sheet music (Musiknoten zum herunterladen und ausdrucken) von Stephen Lawrence for choir and piano (SATB) of MEDIUM skill level.